Wondering if it is worth it to go to Tortuguero even outside the turtle season? I would definitely say yes. Obviously you miss the turtles but you also miss the hassle of the other tourists. Don’t get me wrong, I am aware that I am a tourist myself and I love to meet people, co-tourists included. But sometimes too much is too much. So, did I convince you and you decided to visit Tortuguero? Now you have the choice to go by car (up to a certain point as you can only arrive by boat), by shuttle (min USD 50) or by public transportation. Well, I don’t know anything about the first two. But I looked for information on the third option and did the trip last week. Here is some information on it which also updates info I found on the net. Take a cab or Uber (just tried it here for the sake of trying). Go to Gran Terminal del Caribe. Our Uber driver said “ah, el Caribeño”, so add this to make sure you get to the right place. Take your ticket at the booth for the 6:30 am or 9 am bus to Cariari (2 hours ride). 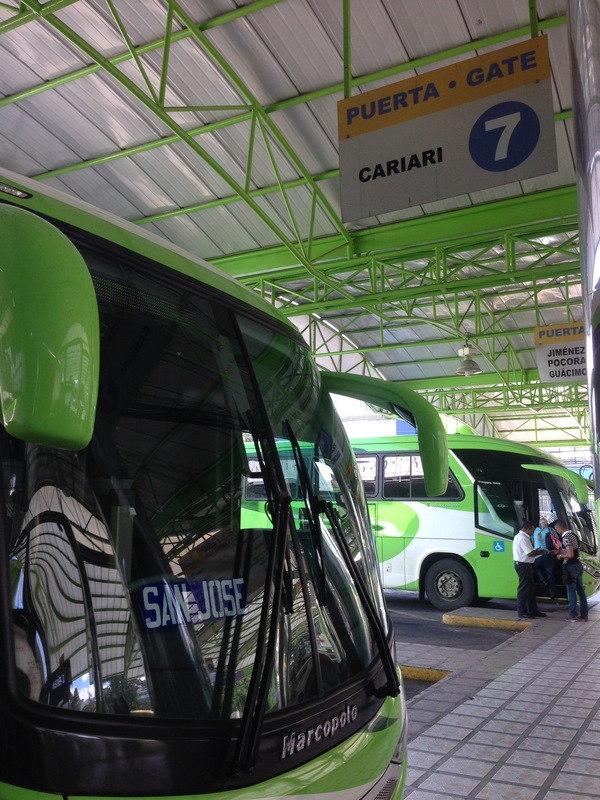 Don’t try a later one to make sure that even if the bus is delayed you still get your bus connection in Cariari and then the last boat at 1pm or 4:30pm in La Pavona. The ticket costs 1’600 Colones. If you have luggage, put it in the second storage compartment as this one is under the responsibility of the driver (so we were told) and it will only be opened in Cariari. However the bus is modern and got overhead bins. But watch your belongings at the different stops when people get off and on the bus. In Cariari stay at the same bus stop you arrived. It is not needed anymore to cross the town and go to the other bus stop (most blogs tell you to do so, but this has changed, we travelled in January 2017). 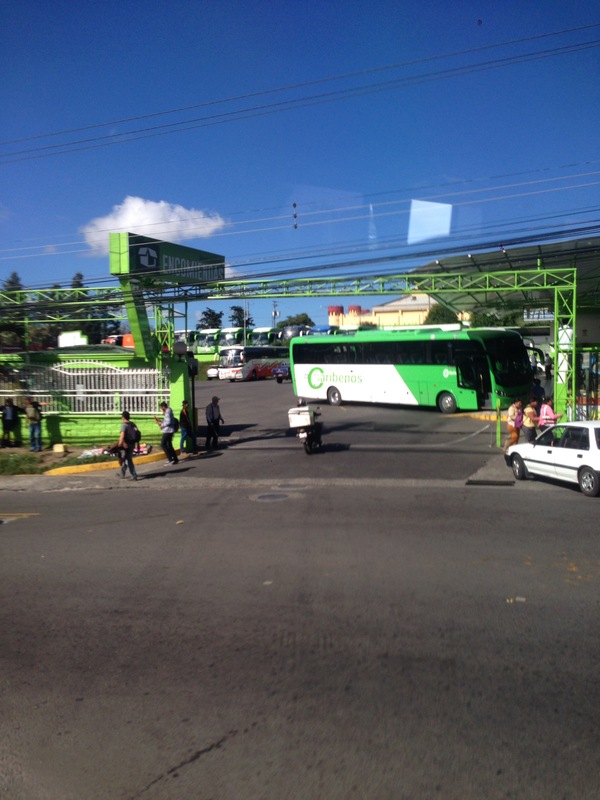 The bus to La Pavona picks you up right there and even waits for other busses to make the connection. Then it goes to the other bus station to pick up other passengers. 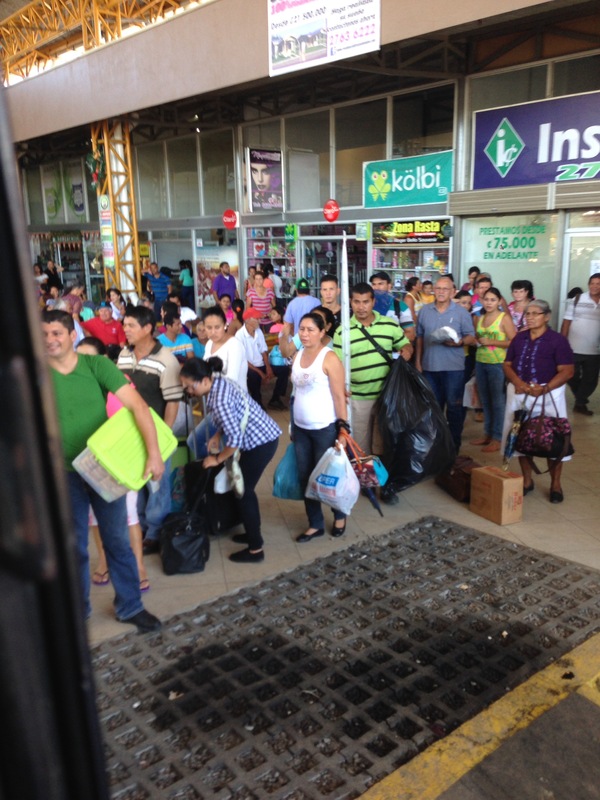 You buy and pay your fare of 2’700 Colones for the bus/boat trip Cariari-Tortuguero on the bus to the driver. 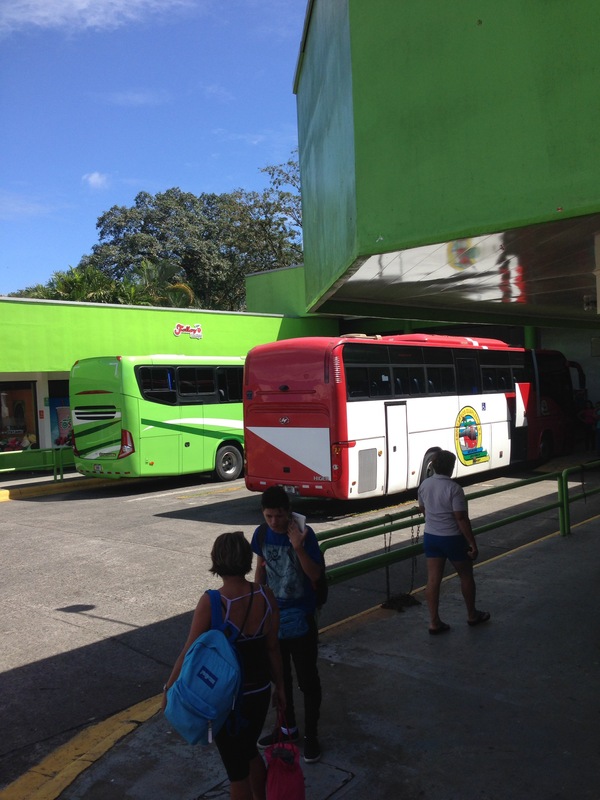 The ticket includes the bus to La Pavona and the boat transfer from there to Tortuguero. Luggage costs extra 1’000 Colones per item (not small back packs which you can keep on your lap) and you pay it on the boat. Easy, right? Here is a helpful schedule. Now enjoy the ride!